It is estimated that 80 percent of the world’s population does not get enough iron in their diet. Up to 30 percent of people may suffer from a condition called iron deficiency anemia, resulting from low levels of red blood cells (RBCs). Symptoms of iron deficiency anemia may include headaches, fatigue, weakness, and more. Iron helps to maintain mental and physical energy, assists gastrointestinal processes, and regulates body temperature. The Recommended Daily Allowance (RDA) is the quantities of dietary nutrients necessary for good health. RDAs are prescribed by the Food and Nutrition Board of the National Academy of Sciences. 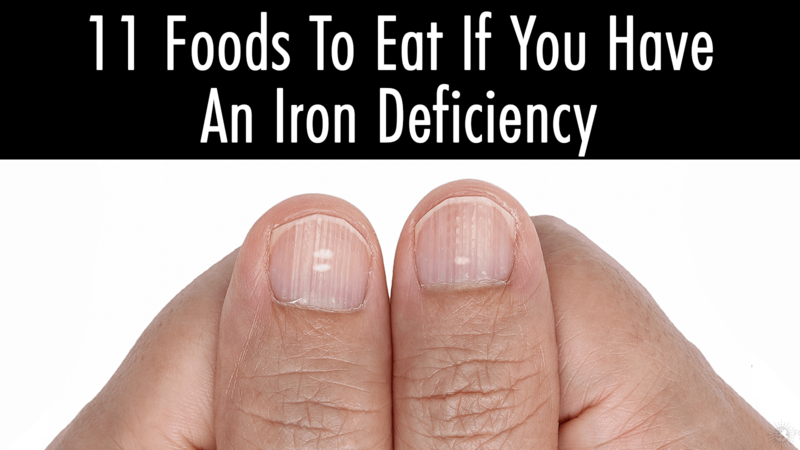 As with most nutrients, it is best to consume iron through the foods we eat. Iron supplements do suffice as a viable replacement when needed. Cereals such as All Bran and Wheat Bix provide all of your daily iron needs in just one serving. Boom, done. Breakfast cereals with fortified iron can deliver up to 18 milligrams of iron! Besides being packed with iron, fortified cereals are very high in fiber content. While not a breakfast food (for most people! ), these guys can give you a whopping 26 milligrams of the stuff in just three ounces. One serving of canned clams contains just 130 calories – while packing 22 grams of protein! The only drawback is their high-salt content. A 3-ounce serving of oysters contains about 7 mg of iron. They also include a decent amount of protein. Perhaps the best nutritional value comes from high concentrations of calcium, magnesium, potassium, and vitamin B-12. Besides having more abundant amounts of protein than beef and chicken, spirulina packs about 44% RDI of iron in a one-ounce serving. And, oh yeah, it may be the most nutrient-dense food anywhere. Long gone are the days when dark chocolate was considered a dessert. 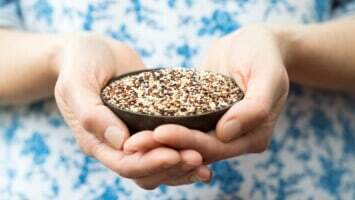 In fact, this delicious treat is considered by many to be a superfood because of its nutrient density. 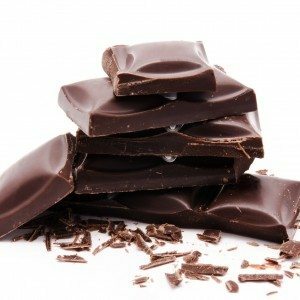 A 3.5-ounce serving of dark chocolate contains approximately 12 mg of iron. Grass-fed beef is by far the best meat source of iron. Beef liver is also brimming with vitamins, minerals, and protein. A 3.5-ounce serving of beef liver contains 6.5 mg of iron. Lentils are both delicious and incredibly versatile in that they go with pretty much any food. A half-cup contains 12 grams of protein, 252 mg of potassium, and 10% RDI of folate. There’s a reason Popeye cracked open this superfood before taking on Bluto. While spinach won’t give you forearms the size of your thighs, a 100 mg serving delivers a respectable 3 mg of iron. It is also high in folate, niacin, potassium, riboflavin, vitamins A and E, protein, and many other vitamins and minerals. Besides being perhaps the best meat-substitute on the market, tofu contains about 5.5 mg of iron in a 100 mg serving. Additionally, tofu includes all eight essential amino acids and is an excellent source of calcium, manganese, phosphorous, and selenium. Kidney beans contain over 4 mg of iron per cup. Not bad. Something else that makes kidney beans special is the fact that they contain 40 grams of protein and precisely zero fat! As with pretty much any other bean, kidneys are also dense in fiber and promote satiety, or the feeling of fullness. Also called chickpeas, garbanzo beans contain about 15% of your RDI of iron in just a half-cup. The nutritional value of these beans isn’t limited to just iron, however. Chickpeas contain high amounts of magnesium, folate, and a whopping 7 grams of protein. As mentioned, iron supplements can be a good source of iron – and definitely beats having an iron deficiency. As with most things, the quality of your iron supplements matters. Iron supplements have been known to cause stomach cramps, nausea, and diarrhea for some people. Most quality supplements will contain about 18 grams of iron, which is the RDI for most people (with the exception of pregnant women, who need 27 grams).